WAT Medical is a company that develops safe, effective, and user-friendly wearable medical products. With a team of devoted staff leading in the field of medical research and development, an efficient and convenient medical service is being provided for individual customers worldwide. The mission is supplying innovative self-care medical devices. -EmeTerm: an anti-nausea and vomiting wristband. It is effective for motion sickness (carsickness & seasickness), morning sickness and other types of nausea-induced vomiting. It is easy to use and can be worn on the wrist like a watch. Without drugs or side effects, it allows you to easily enjoy the journey as well as the scenery. -HeadaTerm: an anti-migraine headband. It is effective for migraine (and any kind of primary headache, including cluster headache and tension headache). VIKAND named for the Swedish expression “vi kan” or “we can,” is a company that is based on Fort Lauderdale, Florida, provides medical service solutions to 170+ cruise vessels, impacting 14,000,000 guests and 120,000 crew annually, as well as numerous other maritime and remote industry clients worldwide. 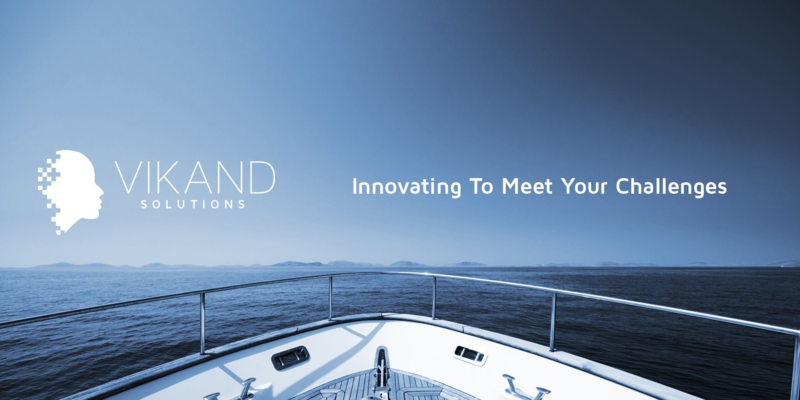 VIKAND Medical Solutions is the leading provider of solutions, including medical management and consulting services to the cruise, yachting and offshore industry managed by a world-class medical team. The VIKAND team has extensive experience in the medical field as well as in the marine industry and offers a 24/7 on-call service to clients. Their team has a depth of experience in the maritime industry, both onboard ship, and shore-side, ensuring that they understand the complexities of a shipboard medical operation and air quality issues. The VIKAND team are continually innovating, researching and partnering to bring the most advanced, cutting-edge technology to meet their clients’ healthcare and hygiene needs. it was founded to address a growing need for outsourced comprehensive maritime medical services. Seatrade Cruise Global (SCG) is the world’s largest cruise industry fair. It is hosted by UBM Exhibition Group of the United Kingdom. Founded in 1985 and has a history of 34 years, it is a globally recognized cruise industry. Synonymous with cruise since 1970, Seatrade Cruise has seen the cruise industry through nearly 50 years of growth; development and change. Every year, nearly 1,000 industry leaders, experts, entrepreneurs, ship owners, government officials, researchers, investors and industry associations from around the world attend the exchange. WAT Medical partnership with VIKAND will shine through the Seatrade show on April 8-11, 2019, welcome to visit our show on the booth.